Organic matter from aquatic and terrestrial sources provides the carbon energy which underpins aquatic food webs. In most streams and rivers more carbon is consumed (e.g. by animals and bacteria) than is produced within the stream by aquatic plants. 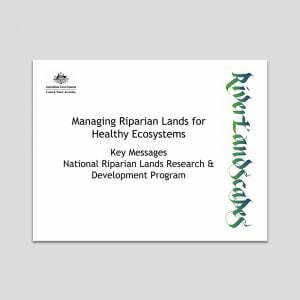 Riparian vegetation along small streams and creeks supplies energy and nutrients; its removal can radically change the quality and quantity of energy in food webs and the function and health of aquatic ecosystems. In temperate forest streams, different forms of organic matter are important sources of carbon for aquatic food webs. These are derived largely from the riparian zone in the form of leaves, twigs and other plant material that falls or is washed into the stream. Riparian fruits and arthropods may also be an important food source for fish and other vertebrates in some forest streams. Food webs in tropical, subtropical and arid zone streams show a greater dependence on algal carbon as do those in most lowland rivers. Macrophytes appear to contribute little directly to aquatic food webs, although they are an important food source for some water-birds. 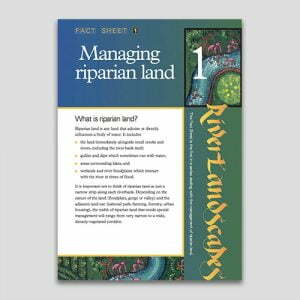 Riparian vegetation also shades streams, decreasing the amount of direct and diffuse sunlight reaching the water surface and reducing daily and seasonal extremes of water temperature. Shading controls primary productivity within the stream as the growth of most aquatic plants is regulated by light availability. In cleared streams, water temperature can exceed the lethal limits for aquatic fauna, directly influencing local biodiversity and, at lower temperature levels, the growth and development of aquatic plants and animals. Increases in light and temperature resulting from a reduction of riparian shading can lead to dramatic changes in the distribution and abundance of aquatic organisms and in-stream productivity, often resulting in an overall decline in stream health. The degree of shade created by riparian vegetation is influenced by several factors, including canopy height, foliage density, channel width and orientation, valley topography, latitude and season. The effect of shading on the structure and function of stream ecosystems is greatest in small streams. 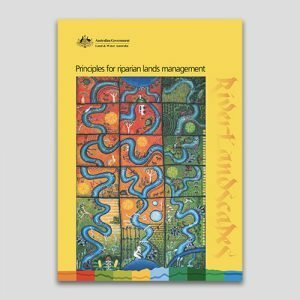 A third vital function of riparian vegetation is to increase stream channel complexity and directly contribute to aquatic habitat through inputs of logs and branches. These can enhance stream stability, regulate sediment transport, provide diversity in flow velocities, and exert significant control on channel size and shape. Logs contribute to the formation of physical features in streams, such as scour pools and channel bars, which serve as habitat for in-stream biota at all levels of the food chain, ranging from microscopic bacteria, fungi and algae, to macro-invertebrates, fish and turtles. 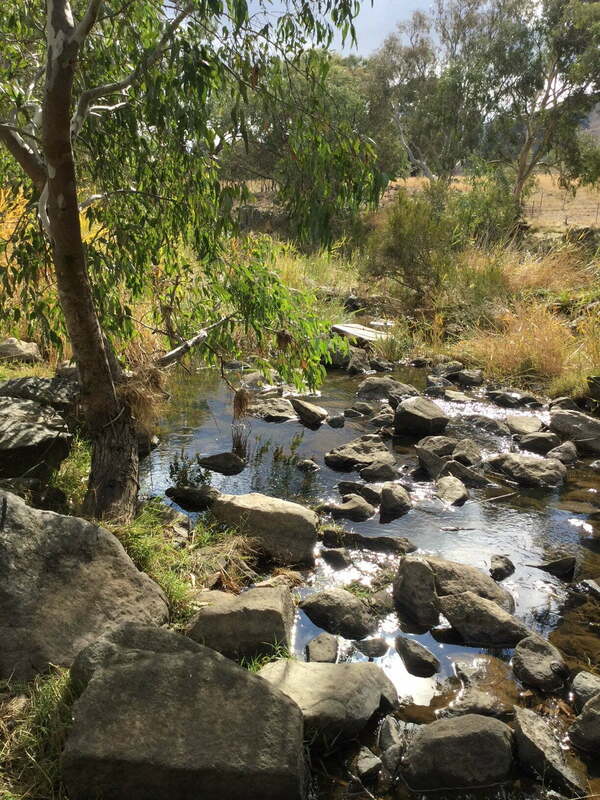 Logs from Australian riparian zones are relatively immobile in the stream. Our streams tend to have a low average stream power, the wood has a high density and many riparian trees have a complex branching structure that ensures in-stream logs are anchored in position. Although vast amounts of wood have been removed from many Australian rivers, what does remain provides important habitat for microbes, invertebrates, fish and other animals. Retention and reinstatement of logs continues to be a priority for many river rehabilitation projects, removal or even realignment should be considered only after a full technical assessment of likely consequences. Riparian lands are among the most productive on earth, and hence are crucial for terrestrial ecosystems as well as aquatic. They occupy only a small proportion of the landscape but frequently support a greater variety and abundance of animal life than adjacent habitats. Important habitat components include vegetation (often taller, denser, more diverse, and more complex in riparian lands), food, standing water, shelter from predators, sites for nesting and roosting, and a local microclimate with less extreme temperatures and more humid conditions than adjacent areas. Wildlife species differ in their dependence on the riparian zone: some are confined to it throughout their lives; others may use it only occasionally, although their long-term persistence depends on access to intact riparian habitats. Riparian areas are often corridors for wildlife movement. Degradation of riparian lands by clearing and grazing has deleterious effects on a range of wildlife species which depend on these riparian areas. Restoration of riparian lands, including fencing to exclude livestock and re-instatement of native vegetation, can lead to improved riparian habitat for a variety of wildlife species. There may also be benefits to other aspects of farm productivity, such as reduced impacts of pest species.